Hall Jewel Tea Autumn Leaf Ruffled Cup and Saucer set. 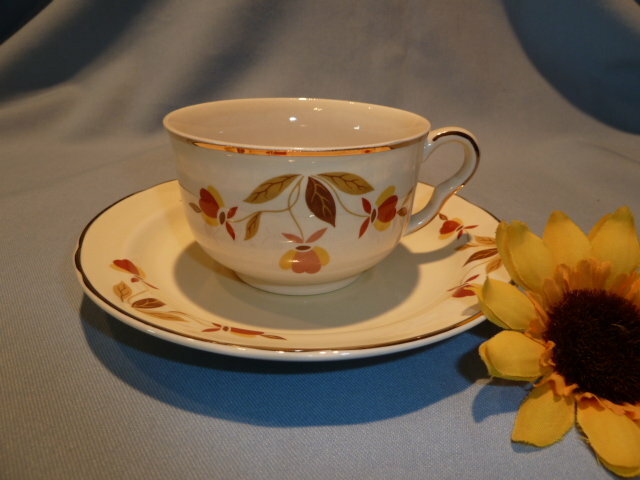 Features the beautiful Autumn Leaf pattern on ivory china with rich gold trim. The cup measures 2 1/4 inches tall and 4 1/2 inches across including the handle. Saucer measures 6 1/4 inches across. 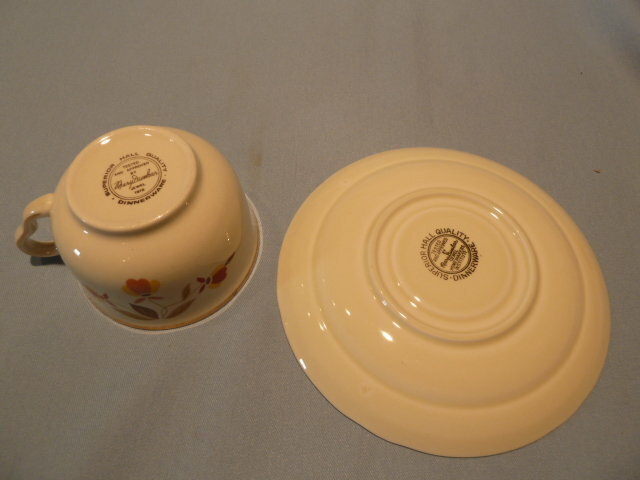 Bottom marked Superior Hall Quality Dinnerware,Tested and Approved by Mary Dunbar Jewel 1978. 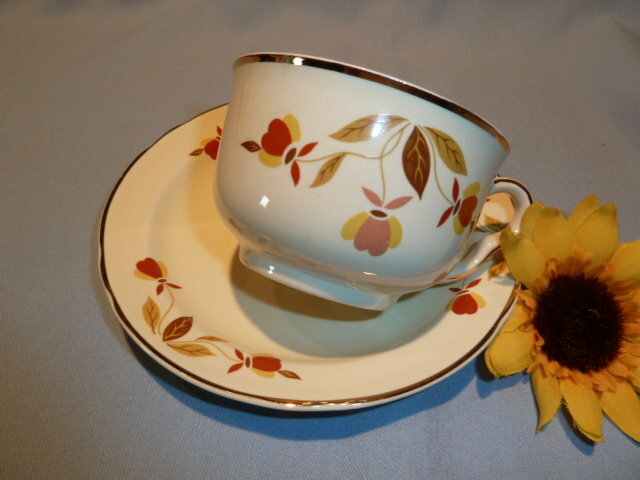 The cup and saucer have never been used and are in excellent condition with no chips,cracks,or repairs. There is no gold wear. There are 8 sets available, priced individually by the set. All are in pristine condition. See our other fine Autumn Leaf items. We are happy to combine items for shipping when possible. 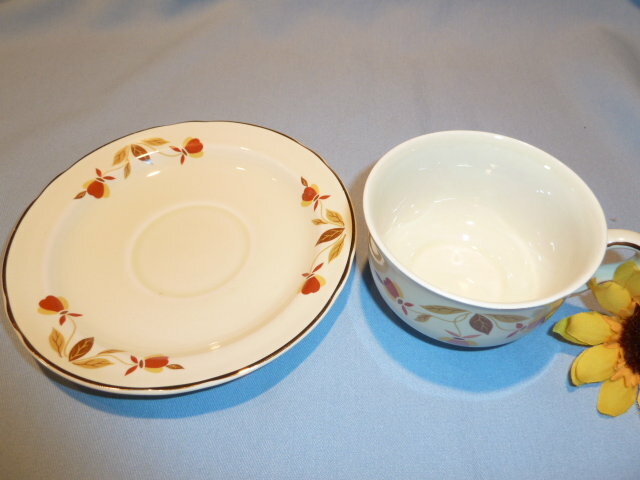 Items Similar To "HALL AUTUMN LEAF JEWEL TEA CUP AND SAUCER"